You are at:Home»Nutrition Guide»Nutrition Science»Can you Drink and Lose Weight ? Can you Drink and Lose Weight ? Alcohol is probably the most popular substance in the world. It’s the quintessentially social facilitator, the one substance that makes us feel more relaxed and at ease. But like every drug, it has some drawbacks. We are all aware of the health problems associated with drinking too much alcohol, which range from a terrible hangover after a night of binge drinking to liver-associated problems such as fatty liver or cirrhosis. But is it OK to drink a beer or two when trying to lose weight? The first thing to note is that alcohol has calories. Ethanol, which is the main type of alcohol found in alcoholic beverages, can be used by our cells to obtain energy. Burning a gram of ethanol provides about 7 kcal of energy, almost double of what you get from a burning gram of carbs or proteins, which is circa 4 kcal/g, and 2 kcal/g less than burning fats. But not all calories are equal, and the calories in ethanol are what we call “empty calories”, “Why you should avoid Empty calories“. This means that they come without vitamins or nutrients attached to it. While carbs, My Carbs Beginner’s Guide, can be accumulated as glycogen and proteins, “The Power of Protein”, can be used to built muscle, ethanol can only be used to obtain energy. Before ethanol can be used as an energy source by our cells it has to be transformed in the liver. After we drink it, alcohol is absorbed by the intestine and shuttled to the liver through the portal vein. To transform ethanol, liver cells use a toolkit of molecules called ‘enzymes’. The main pathway involves two enzymes. The first one is called alcohol dehydrogenase or ADH, and transforms ethanol into a substance called acetaldehyde. Since acetaldehyde is toxic and can damage the liver, it has to be rapidly transformed into acetate by a second enzyme called acetaldehyde dehydrogenase or ALD. For the interested reader, a detailed and technical description of ethanol metabolism can be found here. Acetate can be used by the rest of the cells of the body, so it is released into the bloodstream. And here comes another problem with the calories derived from alcohol: since acetate can’t be accumulated, it is treated as toxin by the body and used preferentially over other nutrients, such as carbs and fats. This means that while your cells can get hold of acetate, your body will not burn fat. And if you ingest carbs with alcohol, your body will not burn them and instead will accumulate them as glycogen first, and then as fat. The preferential use of ethanol over other nutrients has another bad consequence for dieting. To store the excess of carbs as glycogen and fat the body produces insulin. 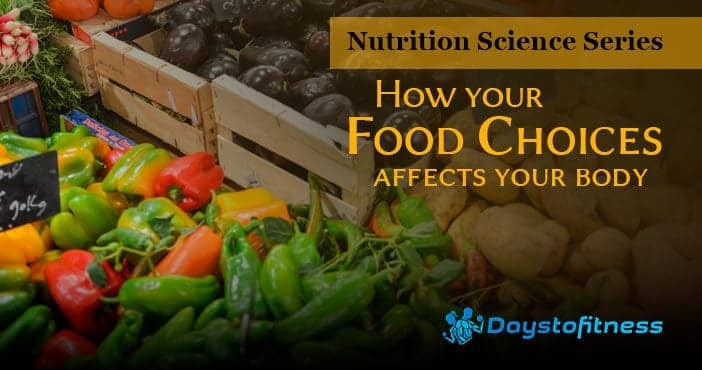 This can lead to a drop in blood glucose levels after a few hours, which is translated into every dieter’s worst nightmare: hunger, “How to Deal with Cravings When Eating Low Carbs”! Alcohol metabolism rates vary greatly (up to three-fold!) between individuals. One of the reasons for this is that not everyone has the same types of ADH and ALDH2, and some forms are more active than others. This is also why some people from East Asia get alcohol flush reaction after drinking – their ALDH2 is too slow and they accumulate toxic acetaldehyde. It should also be borne in mind that many alcoholic beverages, such as beer and wine, have other sources of calories other than alcohol. This means that even if you drink alcohol-free beer you’ll be ingesting calories. Some brands offer so-called “lite beers”, in which the total amount of calories, both from alcohol and other sources, are reduced, and they can be interesting alternatives to regular drinks. A list of the caloric content and nutrient breakdown of several popular drinks can be found here. Now going back to our question: is it OK to drink alcohol while trying to lose weight? As you can see, there is not a clear-cut answer. 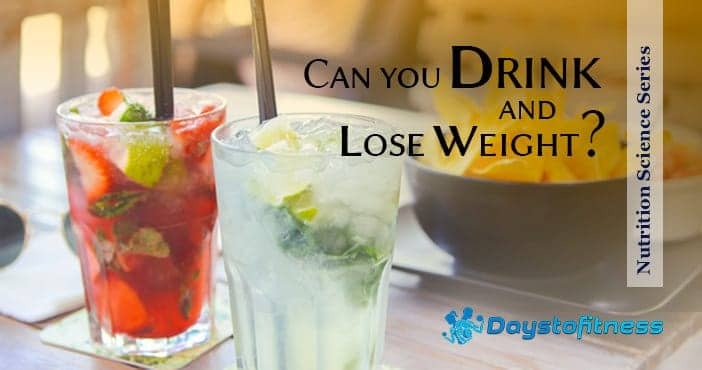 It depends on what you drink, how your body handles the alcohol, how much weight do you want to lose and how well you cope with the hunger that comes after drinking. As with everything else, remember that moderation is key and keep in mind your goals and motivations, “Motivation Tips to Help You Succeed on Your Diet“.